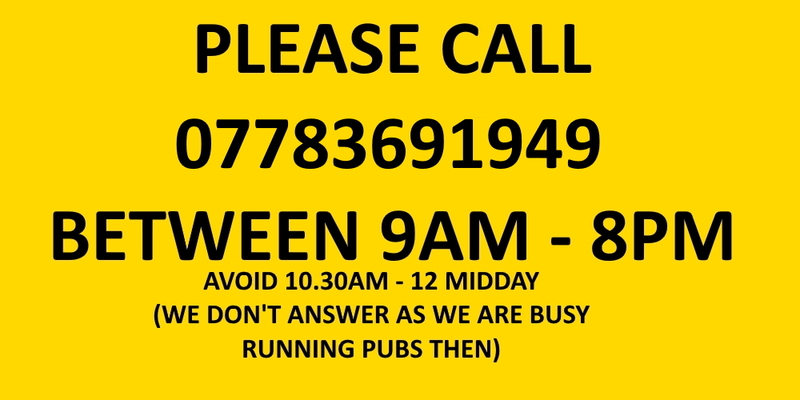 Relief management cover for pub, bar or club. 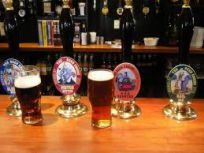 Management cover for all in the licensed trade whether you are looking to go on holiday, need to go in to hospital or just need a short break from running your pub/bar then you will need a licensed Manager to run your business and that is where I can help you. I am able to manage your establishment for you whilst you take a well deserved holiday, need medical attention or seek full time managers. Emergency management can be arranged to cover such things as managers walk outs or licensee resignations. If your booking quote was for £450.00 then you would be asked to pay a £100.00 deposit to secure the booking which would leave a balance of £350.00 to be paid. I would require a payment on arrival of £280.00 making a total paid before the cover starts of £380.00 and the 20% balance of £70.00 due to paid 7 days after the cover ends. You would be emailed an invoice at each stage which contains a payment button allowing you to pay online using a credit or debit card. My aim is always to run your establishment as close to how you run it as I possibly can and in order to help achieve this I send out to every confirmed booking a relief questionnaire pack for you to fill in at your leisure before my arrival. It will cut down handover time considerably. Cover that includes a Bank holiday will incur an additional charge of £100.00 per bank holiday days cover. Emergency management cover has a minimum charge of £550.00 per week outside the M25 or £850.00 inside the M25. I could be on site within 3 hours. All charges apply for the whole period of the cover and need to be paid in full and in advance of travel. If your DPS has walked out then I can help with the forms needed to appoint a new DPS over the internet and before travelling. Note; if your DPS has wlaked out and revoked their permission to be DPS then you are not licensed to serve alcohol however if they have not revoked their permission you could still be. An application to vary the premises license in regard to changing the named DPS is deemed granted upon receipt of the application as is the application by the outgoing DPS to be removed so time is often of the essence. PLEASE NOTE: As part of my service I like to arrive the night before the hand-over is due to take place and if possible stay the night after hand-back has taken place this way I can ensure that I'm on site on the day you wish too depart and again on site should a problem arise with your return journey and you miss the hand-back date. Please if you're thinking of booking our services do not think of this part of the service as being an extra couple of free days cover, it is purely to insure you get away for a worry free Holiday. If you are unable to provide on site accommodation then you will be expected to cover the cost of any hotel accommodation required for the whole cover period by sperate arrangement with the accommodation provider. Please note that January and February are very busy months and early booking is advised. No booking is deemed confirmed until the deposit is paid. Regular bookers may be offered a discretionary discount. Travel cost from my base and back are included in the quote however travel charges incurred whilst running your business are not included and will be charged at £1.50 per mile and invoiced for separately as will any parking fees.